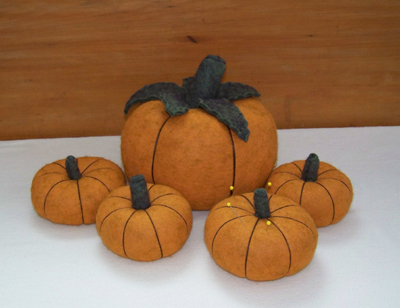 Wool sculptured pumpkins See my Etsy shop for holiday gifts. I am an avid and prolific reader and of late, I have been choosing my books according to their price range. Free is best and next to it, an occasional 99 cent or $1.99 book downloaded on my tablet is best for my budget and already stuffed bookshelves! Rarely do I bother to pay more as there are plenty of books out there in this range waiting to be read. Being an unpublished author, I feel it is my duty to oblige authors who offer their books at discount to become better known, though many of them are already top writers. I wrote this review as a test to see if I could get it all straight. It was a mystery with lots of twists and turns, not always the easiest of reads for a person with a Lyme Brain and it is a documented fact that I have such a brain. I am proudly certifiable and this Halloween I have no need of mask or wig and furthermore, I have brain scans to prove me half zombie!! Keeping names of characters straight can be a challenge for me, but seeing as how it is a mystery, I will keep the mystery and not use the names of the characters, just in case you decide to read this book. Being the curious person that I am, I couldn't put this book down once I started it! It is called The Villa in Italy, by Elizabeth Edmondson. She has written many mystery novels! This is the mystery of four apparent "strangers" named in a will of a woman who owned a villa in Italy. None of them knew the deceased woman. Her will was anything but straight forward. The four individuals that gather had to find the hidden codicil in a puzzle-answering-sort-of-way, exploring why this unknown woman knew of them and had listed them in her will. Of course, the reader wants to also know what part of this glorious estate is left to each and why. Although most book reviews don't tell the end of the story, without naming names I am going to outline the entire mystery, though it shouldn't spoil the book in any way. You will soon see why. The villa in the end is given to her granddaughter that she had never met and the land to the man who was the grandson of a lover of hers, who had killed the granddaughter's bad brother, who turned out to be the granddaughter's father's wife's son, who was actually fathered by his mother's lover, who was the husband of her best girlfriend who was trying to hide from him as he was a mean and evil person. She couldn't divorce him as it would expose her best friend's father's wife of infidelity, who she believes is her best friend's dear, but unloving mother. This same best friend had a brother who married this granddaughter's sister, who is actually only a half-sister, as their father had an affair with a woman who was the daughter of the mysterious woman with the villa. Her daughter, a scientist during World War II had helped develop the atom bomb and wouldn't marry the father of her child as she preferred to be a career scientist and and later died of a radiation burn and was comforted and attended in her dying days by her scientist friend, a colleague, who was also invited to the Villa and named in the will, though he doesn't know that the villa belonged to his friend's mother. He finds his religious faith while he is at the villa and is happy to leave science and the horrors of his creation and its destruction behind him. The granddaughter's girlfriend is rescued by her friend's father who is ready to expose his wife's infidelity, divorce her and leave his unhappy marriage, and he uses this threat to insist that his daughter's friend's husband not contest the divorce that his daughter's friend has long wanted, thereby restoring her peace and even her livelihood by leaving his company for her to manage in his retirement. The granddaughter's friend's mean husband had fathered the granddaughter's brother who is instead really her father's wife's son, though her father didn't know at the time he married his wife that she was pregnant. Another woman invited to the will reading was a well-published author, who had found and rescued the mysterious woman with the will, though she didn't recognize her picture as when she found her, she was covered in a pile of rubble from a bombing in England and had to be dug out. Fortunately this author woman had powers to hear voices that others did not hear and hence tipped off rescuers to her whereabouts and that is why the mysterious woman with the will named her in her will and while at the villa, she is stimulated to write again having given up writing following a break up with her girlfriend. She was also rewarded by the mysterious woman's young editor friend who encouraged her to write again by promising to publish her next book. So if you will, the mysterious woman of the will saves this author's life just as the author has once saved hers. The woman who inherits the villa undergoes a transformation, and falls out of love with the brother of her best friend who married her sister, though it is really her half-sister. All this happens as she begins to fall in love with the man who inherits the land, though both are temporarily content with their own healings brought about through their personal and renewing discoveries while at the villa and are more ready to move on with their lives with new found career changes, making them complete and happy as they proceed to allow their love relationship to develop more perfectly. The father of the granddaughter who inherits the villa appreciates that his daughter doesn't want to carry on the family business and is delighted that his daughter's best friend will continue to manage his company, which not only will not only support herself following her welcome divorce, but it will also help support his two daughters, the younger one too ditsy to run a company and the other a contented artist sort. His ditsy daughter is the one married to his other daughter's best friend's brother and they are happily expecting their first child, likely to be raised, with love, to be another ditsy-sort of person. The granddaughter of the mysterious woman now sees her friend's brother for the shallow person that he is and is happy and ready to move on in her life, appreciating how lucky she is that he prefers her half-sister, who is the one that is ditsy and rather dumb, that she thought was the preferred and best-loved daughter of her mother, but she now appreciates why her mother never really loved her, as she wasn't her mother at all but instead she is the daughter of the scientist who gave up her rights to her custody so her father, who had an affair with her, could raise her daughter, while married to the granddaughter's half sister's mother. I am hoping that I didn't spoil the story for anyone that wants to read it! I think that I haven't spoiled the mystery of how this story unfolds, though I am reassured that I got it all straight, I think? You will have to read this story to check to see! The good part is that this story all ends happily, which is a good thing as I don't think you would like to read my re-write of the ending if it hadn't!! My husband suggested that perhaps the convoluted twists and turns might be why it was offered as a free book on Book Bub, and suggested that I might want to invest more in my reading books in the future...but I think that this provided much mental exercise and intrigue for my Lyme brain and just as Book Bub Club knows, I might now have to try another of this author's books at regular price!! It is a good Halloween selection for you...and can be downloaded very quickly right after the last trick-or-treater leaves your door!! Labels: a convoluted mystery; great escape through books; Book Bub, an affordable book club.